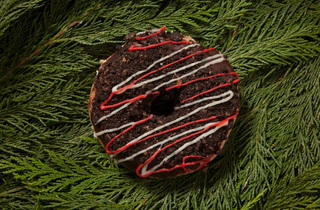 Photograph: Martha WilliamsPeppermint bark doughnut at FirecakesThe chocolate cake doughnut, with a thick layer of vanilla frosting and lots of crunchy housemade peppermint bark, is well-balanced in flavor and hits all the right texture notes. Photograph: Martha WilliamsSufganiyot at FirecakesFirecakes's version of Israeli jelly doughnuts, which are eaten around Hannukah, are filled with raspberry and blood-orange jelly. 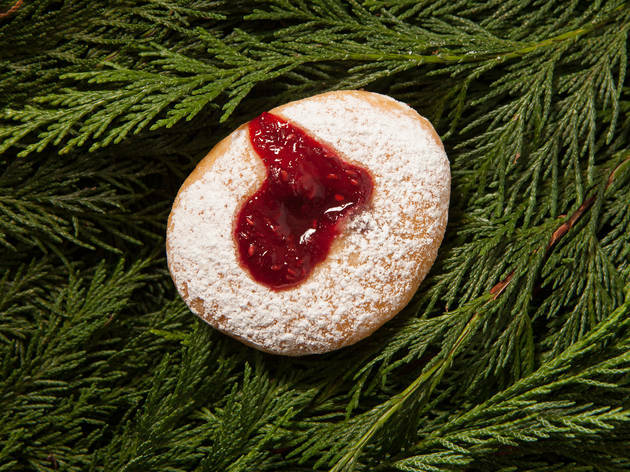 They're small in size, but this jelly is so bright and fruity, we don't blame you for getting two. 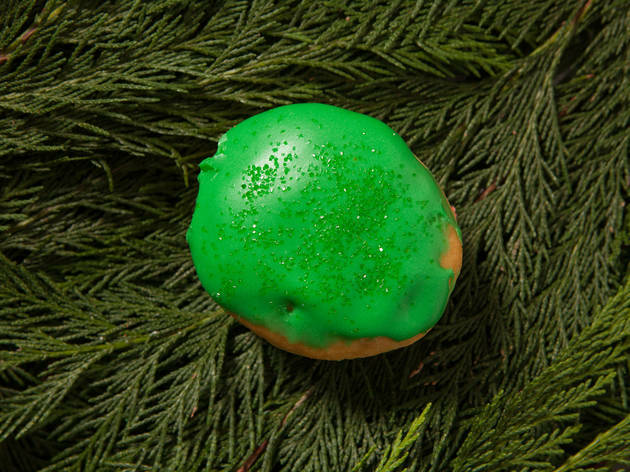 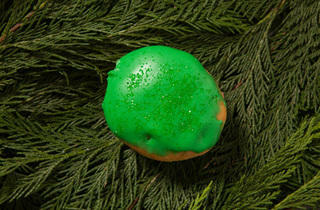 Photograph: Martha WilliamsSugar-cookie doughnut at FirecakesThe plain yeast doughnut is spread with red, white or green cream-cheese icing. 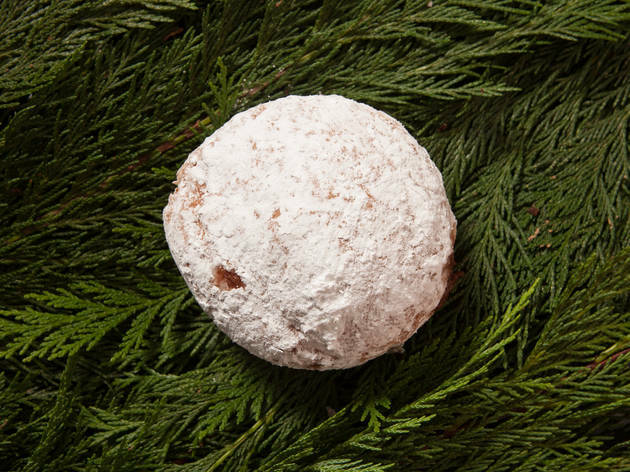 While we wished the doughnut had some sort of creamy filing inside to break up all the dough, the cream-cheese icing was light and unexpected. 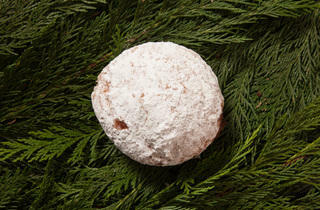 Photograph: Martha WilliamsEggnog doughnut at FirecakesEasily the crowd favorite at the Time Out Chicago office, this doughnut has a custard filling that tastes exactly like eggnog, with eggnog icing and spices on top. 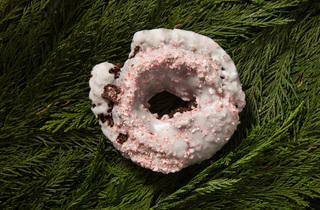 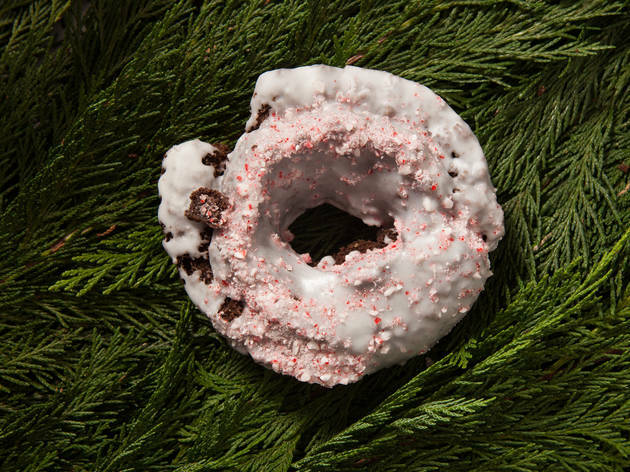 Photograph: Martha WilliamsPeppermint doughnut at Do-rite DonutsA chocolate old fashioned doughnut topped with a thin layer of icing and crushed peppermint, this one is ideal for those who prefer less sweet doughnuts. 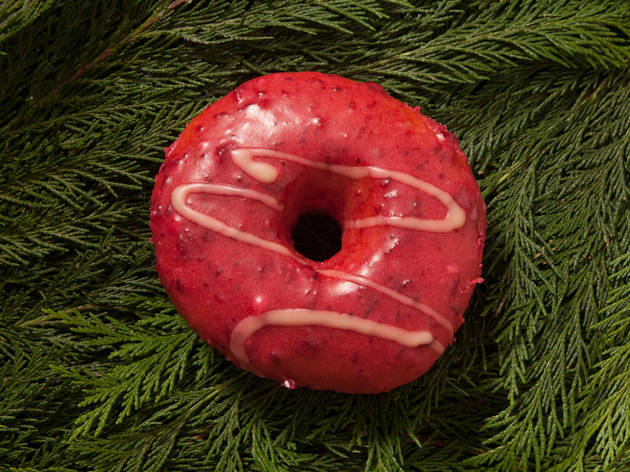 Photograph: Martha WilliamsCranberry blood-orange doughnut at Glazed and InfusedThe yeast doughnut is glazed with cranberry and drizzled with blood orange. 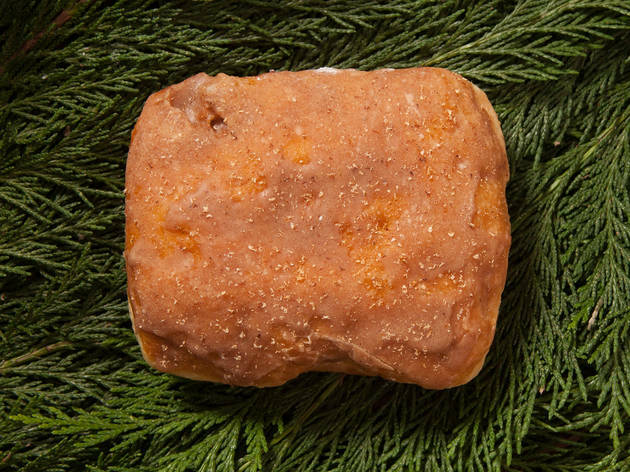 The cranberry flavor isn&rsquo;t very strong, but the dough itself is pillowy&mdash;it&rsquo;s definitely the lightest offering from Glazed. Photograph: Martha WilliamsCranberry&ndash;ginger ale jam doughnut at Glazed and InfusedGlazed&rsquo;s version of sufganiyot stuffs cranberry&ndash;ginger ale jam into a yeast doughnut. 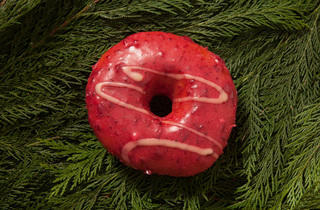 There&rsquo;s a ton of jam, so if you were ordering the cranberry glazed doughnut for the fruit, you&rsquo;ll want this one instead. 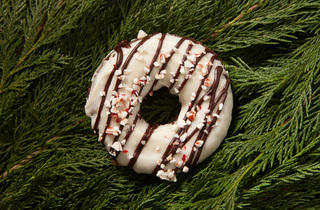 Photograph: Martha WilliamsPeppermint Oreo royale doughnut at Glazed and InfusedLike Oreos? 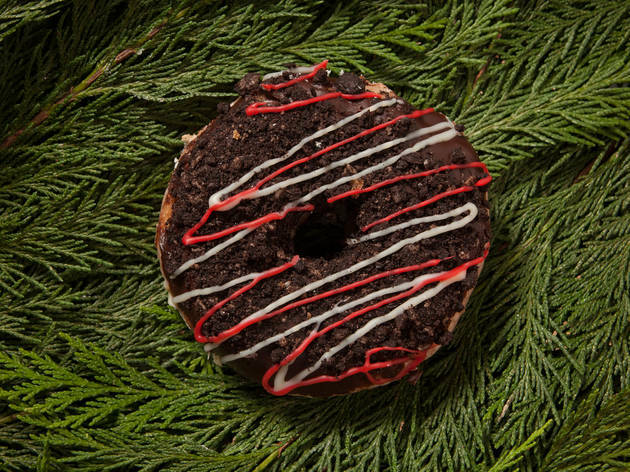 Then you&rsquo;ll love this doughnut, which is an Oreo cake doughnut covered with dark chocolate ganache, Oreo crumbs and peppermint-chocolate ganache. 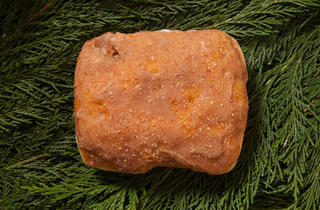 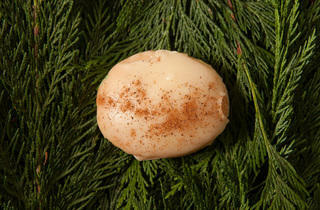 Photograph: Martha WilliamsSpiced eggnog bismarck at Glazed and InfusedThe best part of this doughnut is the Oberweis eggnog custard, but unfortunately there&rsquo;s not quite enough of it to make up for the dry dough. 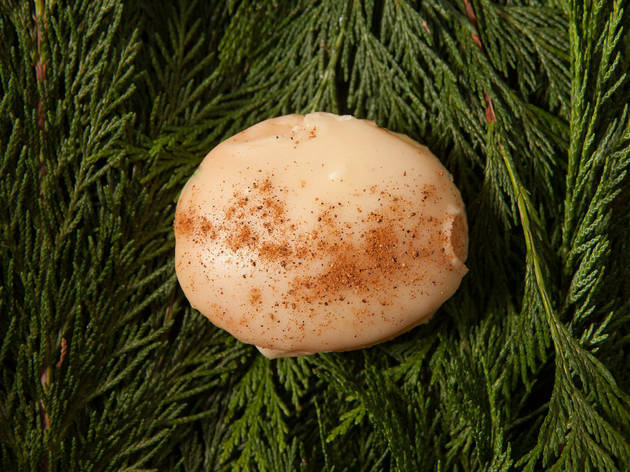 Grab the eggnog version from Firecakes instead, or head to Doughnut Vault, which offers an eggnog old fashioned special on the weekends. 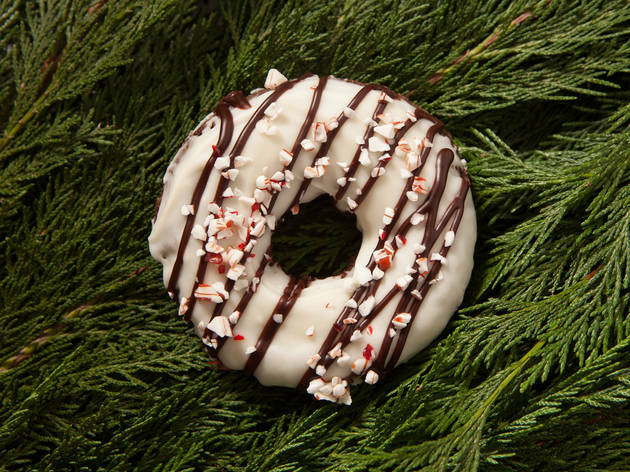 Firecakes, Glazed & Infused and Do-Rite Donuts are getting into the holiday spirit with new doughnuts flavored like eggnog, sugar cookies, peppermint and other seasonal treats. 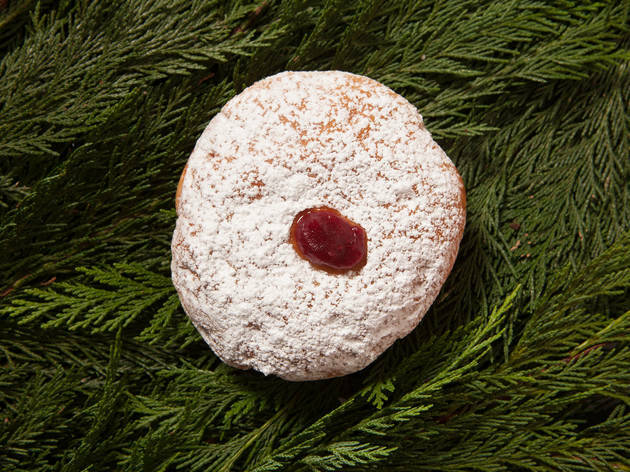 Pick some up to bring to your holiday party or to Christmas dinner—or just sample a couple for breakfast on the way to work.